University of Oxford's Department of Continuing Education offers more than 1,000 classes and programmes each year, for students of all ages and from any background. Having produced designs for a variety of their promotional course literature and marketing materials, they asked me to redesign a number of their key annual publications. The aim was to rationalise, harmonise and make consistent these publications in order to provide easy-to-use and attractive recruitment materials to be distributed across Oxfordshire and Berkshire. 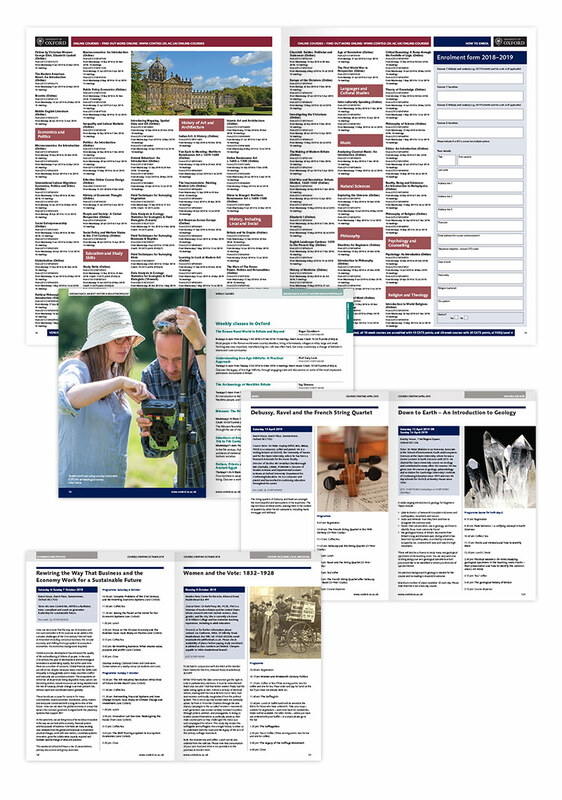 After working with the Department of Continuing Education on overall design styles and approaches, we formalised an approach to extracting data from their substantial online course database, in formats that lend themselves to the production of print materials, in ways that enforce consistency across a huge amount of information. 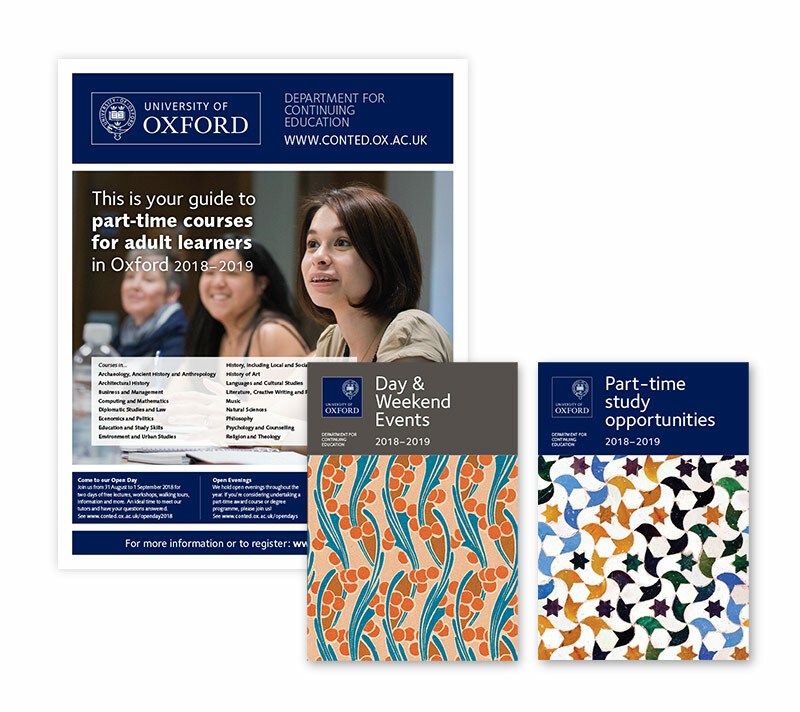 The resulting publications – two substantial prospectuses ('Day & Weekend Events' and 'Part-time study opportunities'), and promotional newspapers for the Oxford and Reading areas, have been distributed widely, with hundreds of thousands of newspapers delivered to homes across Oxfordshire and Berkshire. Department of Continuing Education report that "the prospectus has been flying off the shelves", and that "from our analysis so far, the papers are also exceeding expectations in terms of recruitment – and recruitment is up 25% overall from the same time last year. You've made us look extremely competent and credible in print."